Americarpet: Choosing Condominium Hallway Carpet. When designing a commercial space, carpet is the floor treatment most recommended by designers because of the amount of foot traffic they get on any given day. 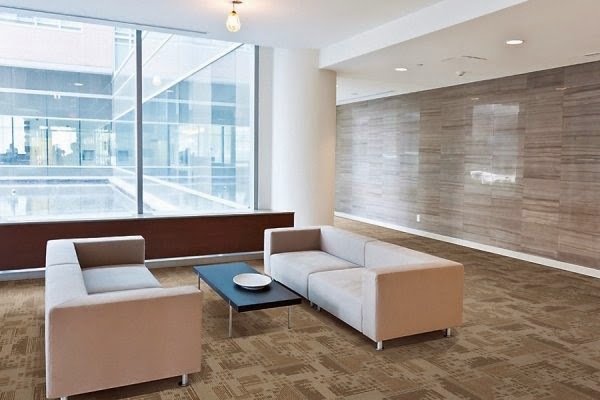 In hallways of co-ops and condominiums, it is very typical to see commercial grade wall-to-wall carpeting used on much of the floors space. Carpeting wall-to-wall makes the area look more expansive. Plus, since sound bounces like crazy on a floor, it's great for soundproofing which residents really appreciate. Additionally, there is just a "homely" feeling that is unmatched by laminate or tile. In the past decade, floor covering quality and design have come a long way. 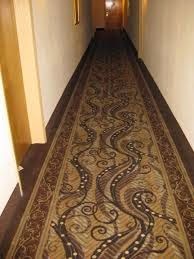 In public spaces such as corridors, wall-to-wall carpet is best used where the original floor is not valuable. It is more comfortable than hard surface and it reduces noise levels. When looking for a new commercial carpet, one must keep in mind sound control, design, and budget. Commercial carpeting can last 15 years or more with proper care. Commercial carpet is made from synthetics or synthetic/natural blend wool fibers. Although natural fiber carpets are more elegant and perhaps appealing for residential applications, they do not always meet commercial standards for stain and flame resistance. Synthetics can absorb oil and stains quicker than wool blend. However, nylon can easily be cleaned and stays looking newer longer, thus making it a great choice for commercial carpeting. Synthetic fiber carpets are designed specifically to withstand a high level of traffic and are often warrantied for several years. The range is vast when talking about the cost of floor coverings. Good-quality commercial carpeting can fit right into any building's budget. A low-end, but decent quality commercial carpet can be as little as about $25 per square yard, installed. While more luxurious fibers and custom goods can run as high as $250 per square yard installed.